Bishop Edgar L. Vann, the senior pastor of the Second Ebenezer Church presented his newly released book entitled, “I Did It to Myself,” The True Confessions of an Overachiever. This past Sunday, Vann held two book signings after both worship services allowing his congregation to share in this awesome experience of releasing the most anticipated piece that he has authored. Pastoring Second Ebenezer Church for more than 40 years, he decided to share with the world the best story that he has ever told. He chose to write a tell all book about his life, a product of a “life to death and “back to life” experience that changed his perspective on the nature of work, career commitment and his personal goals and ultimately, the meaning of success. Devoting his time to his ministry and the call on his life, Vann’s daily work schedule was nonstop with the growth of the ministry and his civic involvement. Being busy became very strenuous and demanding throughout the years. This same schedule that was the blessing throughout the span of his career had become a major contribution to his severe health scare. New Year’s Eve 2015, Vann’s life changed completely after a life-altering moment when he collapsed during church in front of his congregation. With a health emergency: “sudden cardiac death” a rare form of heart failure, his heart stopped an there was pulse, no consciousness and no breathing for three minutes. Without any warning signs or pains, sweating or tingling, which are signs that something is going wrong with the heart. Followed by a back- to- life recovery on the floor of the church, Second Ebenezer’s First Response Medical Team who are registered nurses and a few physicians went into action immediately. The team responded and with the help of a trained young lady doing CPR, Vann was given a second chance at life. This would be the wake-up call to the man who felt like he could do it all. This was the practical guide to breaking out of the prison of overwork and needless stress. It was time to change what he knew as the norm. “This health challenge recovery compelled me to evaluate life forever from a fresh perspective. Sometimes we have this syndrome called “I don’t, it won’t.” So often we feel if we don’t do it ourselves, it won’t get done. I was so used to just doing it myself that it became natural. I knew if I did it, it would be done oppose to asking or waiting for someone else to do it. This syndrome has messed a lot of us up today, because it doesn’t give us the ability to learn how to delegate to others and just simply ask for help. Delegating properly or allowing others to help releases tension and stress from the visionary who is caring out the vision. It also allows us to free up time to still work in our calling, gifts and talents, while still maintaining stability without over doing it. I have always looked at myself as a multi-talented multi-tasker who thought I could do it all. You get up, you go to work, you come home, deal with what you need to deal with at the house and you go back to bed. You wake up and start all over the next morning, it becomes a cycle. I never knew being a do it all- “work martyr” leads to a dead end.” says Vann. Changing his life has been one of the most precious things to him because it allowed him to adjust and live a better life by putting the important thing first, which was himself and his health. Vann’s reasoning behind the book “I Did It To Myself” is to inform, infuse and inspire someone along their journey and to help them not make the same mistakes he’s made along the way. Being the pastor at Second Ebenezer Church since the age of twenty-one, Vann has made great strides preaching and teaching the gospel. Building a ministry with over 3,500 congregants, the pastorate side of him has surpassed greatness. With a new lease on life and new ambitions and goals, he purposely set out to accomplish this newly released book and so much more to come outside of pastoring. 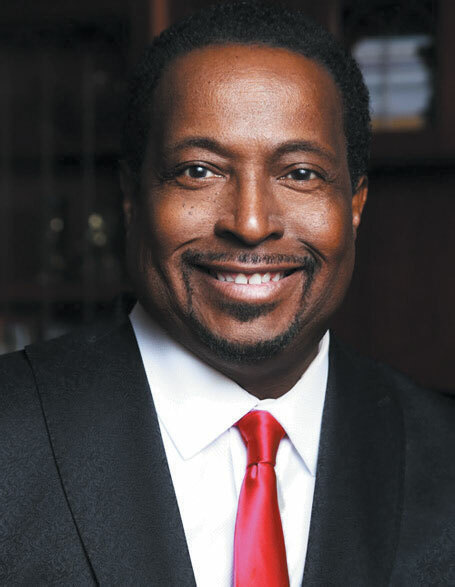 “Bishop Edgar Vann, one of our region’s strongest spiritual voices, is also a powerful community leader and advocate who has improved the economic and physical health of Detroit and Michigan residents through decades of transformational community service. His new book, I did it to Myself: True Confessions of an Overachiever, gives us a front row look at a spiritual, yet human experience that changed his life and positively impacted thousands of others through is activism. It’s a must read.” says, Daniel L. Loepp, President and CEO, Blue Cross Blue Shield of Michigan. Vann has devoted his life to his family, his ministry and now his new love with being the new author of “I Did It To Myself.” He deemed Second Ebenezer Church as the best church on this side heaven, he’s gained much recognition from the mayor’s office, the city council office, different awards for numerous of organizations, he serves on numerous boards, but this by far is the dearest to his heart because it’s his testimony. I want to share with others the life changing truth that I have learned and continue to learn. My prayer is that this book will encourage others to live a better and healthy life and to also let the world know that God is a healer because he healed him says Vann. To purchase this book “I Did It To Myself”, please visit, edgarlvann.com.